well, things seem to be slowing down a bit after finishing up her-oes 4 the other day (good thing, too... it's scheduled to be on the stands in a few weeks)... plenty left on my plate (first up - my 6 page mouse guard story for david petersen - been itching to get drawing it! 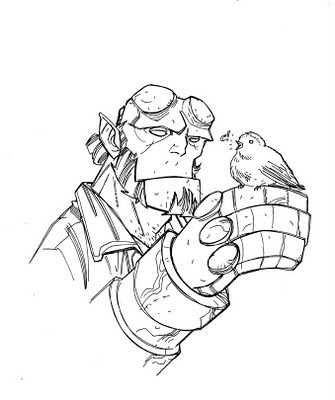 also, just a few long outstanding commissions... and the next 2 convention exclusive perhapanauts prints for baltimore and mid ohio), not to mention finishing the pages for the first issue of the next haps arc and getting to work on the second issue)... and just got word about my next all ages gig for marvel... pretty excited! been listening to the great new devo album... and on a michel giacchino kick on itunes, getting the soundtracks for fringe and land of the lost. 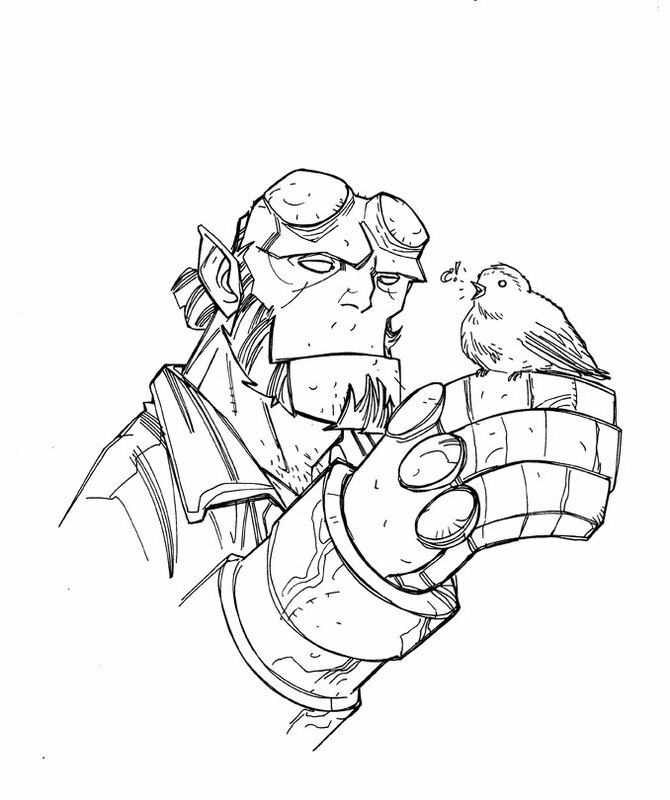 oh yeah, here's a hellboy sketch i traded a while back for a cool comic con breda 2010 exclusive hellboy comic (3 stories reprinted with a sweet new cover) - thanks again, kees! 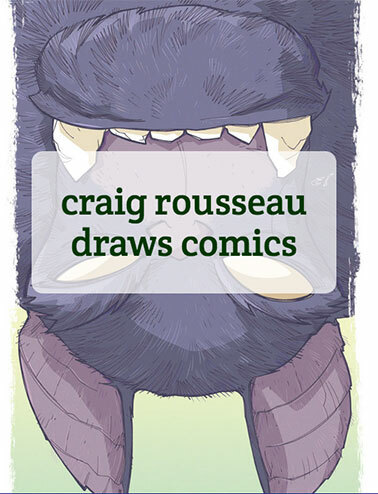 Great news about the Marvel gig, Craig, though not as great as the news that you've got some time to get cranking on the 'Haps. Also, great sketch. The juxtaposition of the Right Hand of Doom and a cute little bird is a wonderful touch.